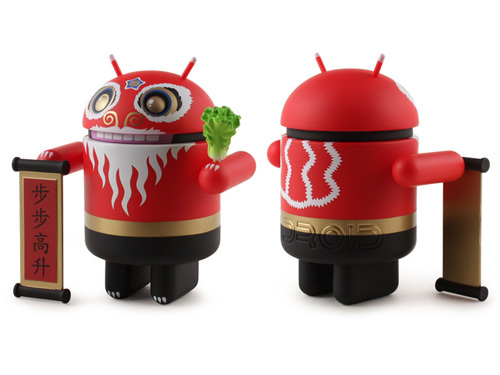 Chinese New Year Android mini collectible! 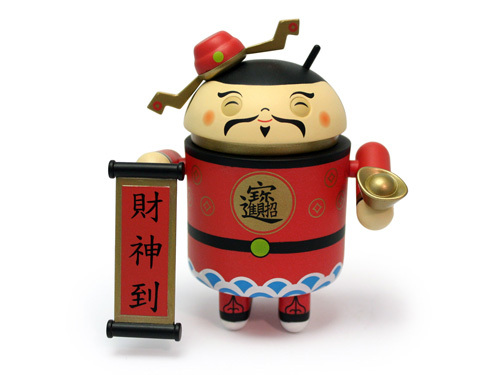 On February 3rd, over a Billion people will be celebrating the Chinese New Year! 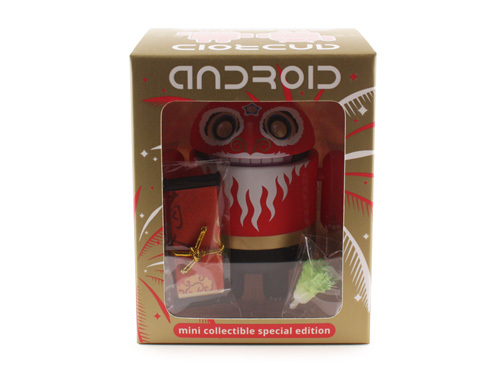 To commemorate the event and to help usher in a year of prosperity, we got together with our Asia distributor to create a new special edition Asia exclusive Android mini figure. 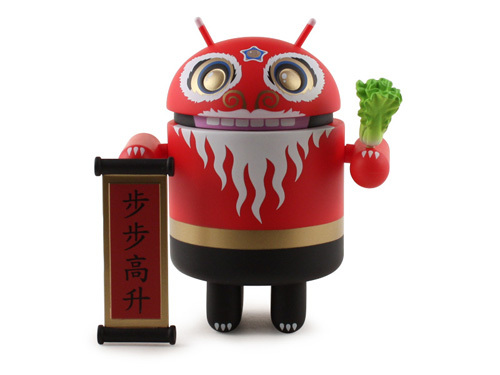 Meet Cai Shen, the god of wealth! 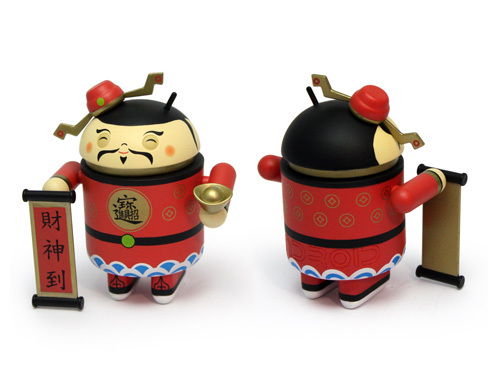 Unless you are lucky enough to work for Google, Inc in Beijing, or live in China or Taiwan, these little guys will be a bit tough to get. However, I managed to snag 200 for sale over on this side of the pond. Because there are so few, we’re going to a lottery system. If you live in Americas (North and South) or Europe, you can enter for the chance to purchase one. 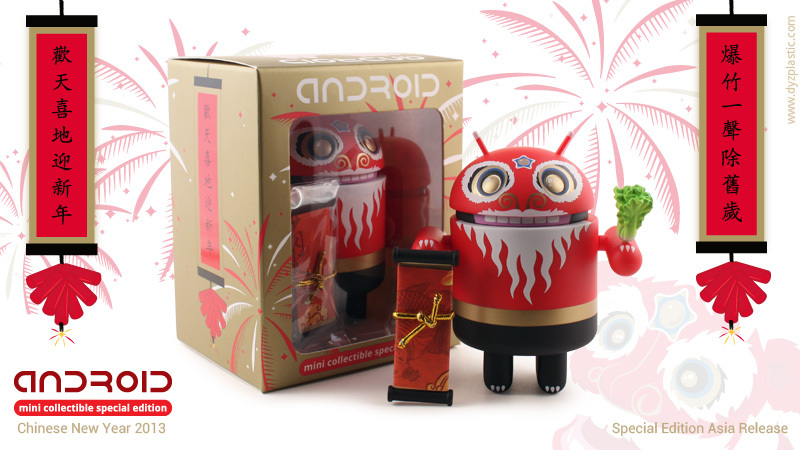 Despite the extra accessories, they’ll still be $10 like the other special editions (plus shipping). One entry per person, entries close January 4th. If you do live in China or Taiwan, the figure will be available for sale at these and possibly other places starting January 5th!